Guess which of all the games on android play store is grossing these days? Well, I don’t know whether you would guess right but it is Ludo Star which is based on one of the most popular board games played in different parts of the world. The game is grossing all over the world on different smartphone platforms and now the people are asking a question whether Ludo Star for Pc is available or not. Before we head out to tell you that, let us introduce you to this masterpiece. If you are fond of playing board games then there is no wonder in knowing about Ludo. This game is mostly played in the parts of Asia but with the growing age, it is famous all over the world. It gained special fame when Game Berry produced Ludo Star which is a free board game for the android operating system and is available both online and offline. 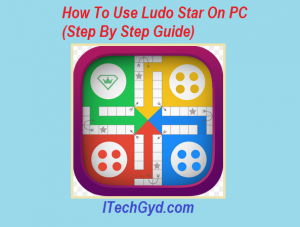 You will be desperate to know whether Ludo Star for PC is available or not or can you enjoy it on your personal computer. Well, there is a good news for you guys but first, let me introduce you to the features and game modes of Ludo Star. Ludo Star can be played both offline and online. To go online and play the multiplayer mode, you will need to connect yourself with your social media account such as Facebook and then you will be able to play online with your friends and other people all over the world. You can also play the local multiplayer with your friends and family on a single phone for that, you do not need an internet connection. The best mode as per the experience of the users and also the most played one is the Master mode. In this mode, the rules are much strict than the ones played usually. To get your ticket out of the box, you will need to get a six on the dice. Then it is compulsory to kill the opponent at least once if you want to complete the round and enter your home. Your opponent will have to do likewise in order to win. All four tickets need to be made home to earn the victory. The second mode in the game is classic mode. This mode follows the rules which are generally followed while playing this game. You need to score a six on the dice to bring each ticket out of the box. You will also need to kill the opponent at least once to enter the home. All four tickets are needed to bring home in order to win the match and of course, do it before your opponent does. In the quick mode, you don’t need to score a six to bring the ticket the ticket out and only one ticket to reach home is enough for your victory. 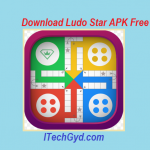 How to Download and Play Ludo Star for PC? It is quite simple and you will need to follow the steps given below. Download the free Ludo Star APK. 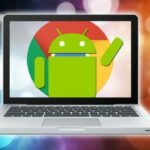 Import the download APK file in the software. 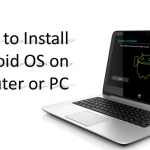 Install it using the downloaded software.